Myanmar’s Supreme Court today agreed to rule on the appeal of two Reuters reporters who have been imprisoned for more than a year. 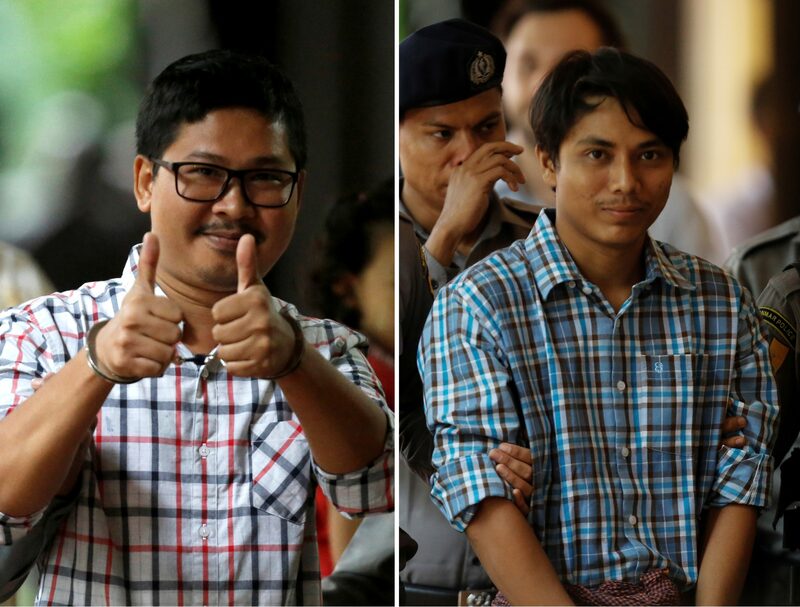 Wa Lone (pictured, left) and Kyaw Soe Oo (pictured, right) were convicted last year under the country’s Official Secrets Act for possessing government papers as they investigated the killings of Rohingya Muslims. The case was adjourned without a date for a ruling being given. The two reporters have been in jail since 12 December 2017 when they were first arrested in what they described during their trial as a police set-up. They told a judge they were handed papers at a meeting by two policemen they had not previously met before being arrested and bundled into a car by plain-clothed officers. They were sentenced to seven years’ imprisonment in September last year. 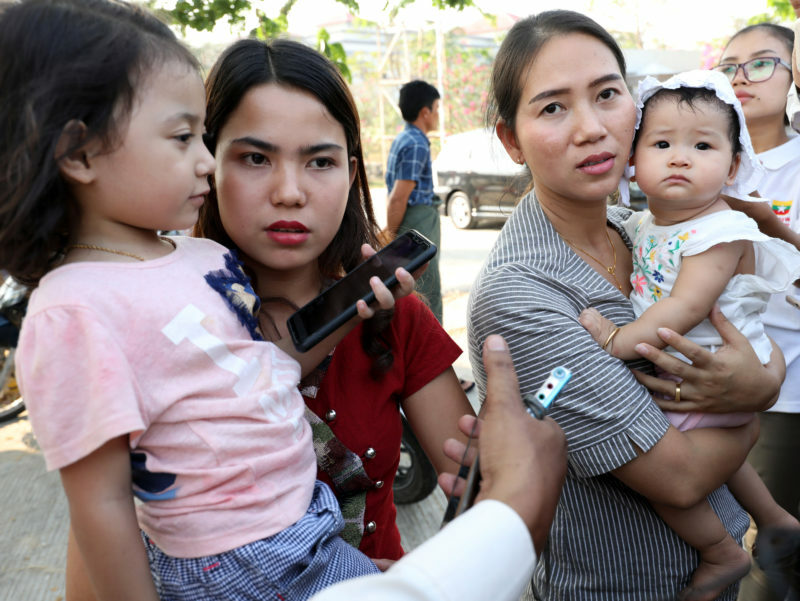 The pair remained inside Insein Prison during today’s hearing at the Supreme Court in Naypyidaw, which was attended by their wives and children (pictured below). “We are expecting to reunite as a family as soon as possible,” Soe Oo’s wife, Chit Su Win, told reporters outside the court, Reuters reported. Their lawyers are citing evidence of a police set-up and lack of proof of a crime for the appeal, according to Reuters. Ahead of the hearing, Reuters editor-in-chief Stephen Adler said in a statement: “Myanmar’s Supreme Court has the opportunity to correct the serious miscarriage of justice inflicted on Wa Lone and Kyaw Soe Oo for the last 15 months. 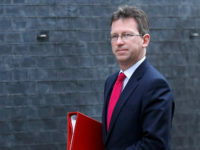 The pair’s case was heard as the European Press Prize shortlist was revealed, with Lone and Soe Oo up for the Investigative Reporting award alongside coverage of the Windrush scandal by Guardian’s Amelia Gentleman and Bellingcat’s unmasking of the Salisbury poisoning suspects. Lone and Soe Oo won two awards at Press Gazette’s British Journalism Awards in December: the Foreign Affairs Journalism prize and the Global Investigation of the Year prize. Their investigation into Myanmar’s crackdown on Rohingya Muslims was completed by Reuters correspondent Simon Lewis and Myanmar bureau chief Antoni Slodkowski and published in February last year. 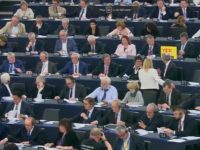 Freedom of expression and press freedom groups have continued to give their backing to Lone and Soe Oo. The Committee to Protect Journalists’ senior Southeast Asia representative Shawn Crispin said this week: “Myanmar still has a chance to right the wrong committed against jailed Reuters reporters Wa Lone and Kyaw Soe Oo. The rule of law is tragically absent in Myanmar. While the efforts of Oo and Lone are constant inspiration, the military’s lack of accountability is acaverous obstacle to a credible government.